Bob Costas says: "A useful and very reliable history of the modern Olympics." Bob Costas says: "John Kuenster lets those who suffered baseball's most epic defeats know that he feels their pain." to pull you away from it." Bob Costas says: "Anyone looking for evidence of how the culture of sports has changed (for better and for worse) will find it in Ian O'Connor's engrossing account of Sebastian Telfair's young life." 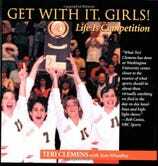 Bob Costas says: "What Teri Clemens has done at Washington University comes closer to the essence of what sports should be about than virtually anything we find in the day-to-day headlines and highlight shows." Bob Costas says: "There is a difference between having nice clothes and wearing clothes that work specifically for you. Alan Flusser gives you the insight to make the best choices for yourself." Bob Costas says: "Youth sports has become hyperorganized and deadly serious. Game On identifies the problem and points us toward some solutions." 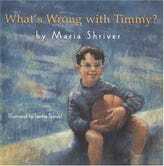 Bob Costas says: "I read WHAT'S WRONG WITH TIMMY? with my eleven-year-old daughter — actually, she read it to me. We both think it's a wonderful book that parents and children should read together." Bob Costas says: "Whether you prefer Beckham or Bonds, the Boston Red Sox, or the Manchester United, you will be enlightened by this examination of the similarities and differences as seen by two of the sharpest minds in the field of sports business." Bob Costas says: "A great primer for high school and college athletes and their families. Sound advice to help navigate what can be a difficult journey." Bob Costas says: "This is a well-crafted and affectionate tribute to a worthy subject." Bob Costas says: "There are many things I could say about Michael Shapiro's engrossing book. But here's all you need to know before you pick it up and decide for yourself: It's about baseball. It's about Brooklyn. And it's dedicated to two guys named Lenny Wexler and Barney Karpfinger. What else do you need to know?" Bob Costas says: "Whenever I need to get back down to 147 for a welterweight title defense, the Pritikin approach is the best and healthiest way to do it." Bob Costas says: "[A] remarkable story of adversity, courage and redemption.... This is one wild ride." Bob Costas says: "The 1999 Knicks season went beyond unlikely, and it certainly wasn't a classic — which is what made it so damn interesting. Mike Wise and Frank Isola were there for the whole ride. Now that they've caught their breath, they've managed to deliver an insider's perspective on a unique NBA season." Bob Costas says: "Peter Golenbock has been a prolific chronicler of baseball and its most colorful teams. In this book, St. Louis' rich baseball history is vividly rendered with insight, humor and affection." Bob Costas says: "Radio is purely the announcer's medium. Accordingly, most of the best sports broadcasting has been done not on television, but on radio. David Halberstam writes from the knowledgeable and nuanced perspective of one who practices, respects, and understands the craft and its history." Bob Costas says: "The stores are filled with fitness books but this one is different. The Posadas' perspective on healthy living, especially for kids, is very timely given the increased concern with the issue of childhood obesity. The Posadas provide practical and realistic advice in an entertaining style." Bob Costas says: "Baseball is THE storyteller's game. So, if you love the game, you'll love Tim McCarver's treasure trove of stories. And you'll also understand why Tim never has to fear a rain delay." Bob Costas says: "Tommy Lasorda is a Hall of Fame manager. And if there were a Hall of Fame for colorful characters and great storytellers, he would be in those too. It's all here, enjoy." Bob Costas says: "Even Damon Runyon would have considered Bert Randolph Sugar to be Runyonesque. Here, he takes the reader beyond the rail or the $2 window and behind the scenes, with the rich cast of characters who make up the Sport of Kings." Bob Costas says: "When it comes to style, fresh insight, and perspective, few in a crowded field can even make the cut. As expected, Tom betters par by several strokes." Bob Costas says: "Opining about sports in a spirited fashion is Chris Russo's specialty. You don't have to agree with him 100 percent of the time to find plenty to like and talk about on these pages." Bob Costas says: "Drama, strategy, controversy, pathos. The rich panorama of emotion. Synchronized swimming? No. Scrabble. Who knew?" Bob Costas says: "The story of Bobby Jones' singular life is one of the most fascinating in sports history. Ron Rapoport's thoughtful, graceful is well suited to telling that story." Bob Costas says: "Without Darren Rovell's First In Thirst, how would I know there was once a Gatorade called 'ESPN the Flavor'? At last I understand how Chris Berman and Stuart Scott race through exhausting highlight packages without becoming dehydrated." Bob Costas says: "Our sense of modern athletes is often limited to what highlight reels and marketing campaigns reveal or obscure. Shooting Stars is the compelling and often poignant story of a remarkable group of young men only one of whom happens to be a future NBA superstar. In the end we care about them all, even as we come away with a truer understanding and appreciation of the circumstances and relationships that forged one of the most significant sports figures of our time." Bob Costas says: "Those who don't understand say baseball is only a game. Those who run and play it sometimes act as if it's only a business. By now, maybe they're right. But for a long time, something else was true. That something else is what Tom Stanton is getting at here." Bob Costas says: "A switch pitcher? A guy as good as Seaver righty and Koufax lefty? The thought intrigues as does Billy Lombardo's touching and original debut novel." Bob Costas says (from the foreword): "It's been a long stretch of ice time, and between shifts Dave Hanson has managed to produce a loving and laugh-filled remembrance." Bob Costas says: "Forty-nine years later, Roger Maris remains the authentic single-season home-run king. Perhaps too little, certainly too late in recent years, he has been venerated and vindicated. Better yet, in these pages, he is appreciated." Bob Costas says: "The distinctive voice of Bob Wolff has accompanied many of sports' most memorable moments. That voice conveyed talent and professionalism; but beyond that, his enduring good nature, and boundless energy and enthusiasm, make him a continuing marvel. It has always been a pleasure to listen to him. It has been an even greater pleasure to be his friend." Bob Costas says: "When it comes to style, fresh insight, and perspective, few in a crowded field can even make the cut. As expected, Tom Callahan betters par by several strokes." Bob Costas says: "Helen Stephens's story touches so many of the big moments and emerging issues of American sports in the 1930s and 40s. Her life was rich with adventure, controversy, and accomplishment. More people should be familiar with The Fulton Flash. And now, thanks to Sharon Kinney Hanson's carefully researched biography—they will be." Bob Costas says: "A man of John Wooden's accomplishments and integrity would stand out in any era, but now, almost three decades after he coached his last game, he is in some ways an even more striking figure." Bob Costas says: "One hundred years-what an amazing life. 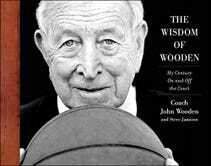 But here's what's even more amazing about John Wooden and the timeless verities his life has embodied. One hundred years from now they will still be talking about his accomplishments and his approach." Bob Costas says: "Few coaches have effected their player's lives so fully as John Wooden, so here's a natural question: Who mentored the mentor? Well, John Wooden is glad we asked…"
Bob Costas says: "For a baseball fan, this breezy book is like a giant box of popcorn–once you pick it up, you can't put it down. Insight after insight from two of the most compelling figures in the game's history." 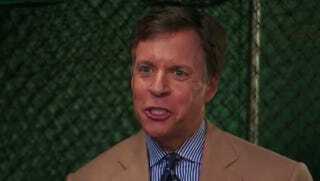 Bob Costas says: Being a baseball maniac is a condition which cannot be cured—it can only be treated. So take two chapters of Bert Sugar's book, and then call him in the morning. Bob Costas says: "To get a better sense of the Hall of Fame, you would have to be in Cooperstown. Bob Costas says: "Elliott Kalb's work is beyond excellent. He thinks in story lines and uses numbers to make compelling and often original points." Who&apos;s Better, Who&apos;s Best in Baseball? Bob Costas says: "An engaging and often hilarious account of a star-studded round." 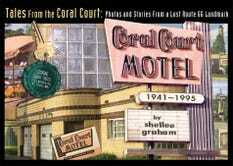 Bob Costas says: "56—the number alone still has meaning, but there is a compelling and textured story behind it, a story that pre- and postdates the summer of 1941. Kostya Kennedy tells that story beautifully." Bob Costas says (from the foreword): "Much of what we know about Satchel Paige ... is undoubtedly true, some of it is probably apocryphal, all of it contributed to his legend as a ballplayer and one-of-a-kind personality." Bob Costas says: "When I was an eight-year-old Yankee fan, the '60 Pirates and Bill Mazeroski broke my heart. I am only now prepared to forgive and recommend this fine volume which celebrates the colorful and often glorious history of the Pirates." Bob Costas says: "Just about everyone knows that Branch Rickey played a major role in modern baseball's most important development, the breaking of the color line. Yet, even if you somehow put that aside, 'The Mahatma' would still rank as one of baseball''s most influential and enduringly significant figures. It's that complete Branch Rickey, 'Rickey in Full,' that Lee Lowenfish presents here." Bob Costas says: "A clear-eyed appreciation and critique of the game and business of football, combining the perspectives of a Super Bowl-winning coach and a first-rate journalist." Bob Costas says: "I've always admired Rich Eisen's work, so it's no surprise to me that his book is very entertaining. What is a surprise is that he's somehow found time to write it in between the NFL Network's 6,347 hours of coverage of weak-side linebackers who could be draft-sleepers. That sort of programming and this book about it are both genuine public services." Bob Costas says: "For whatever misguided reasons, Tom Breitling says he grew up wanting to be me. Instead, he wound up owning The Golden Nugget and making two deals each worth upwards of a hundred million dollars. Looks like he grew up to be A-Rod instead." Bob Costas says: "Scorecasting is both scholarly and entertaining, a rare double. It gets beyond the cliched narratives and tried-but-not-necessarily-true assumptions to reveal significant and fascinating truths about sports." Forward From this Moment: Selected Columns, 1994-2008, by Leonard Pitts Jr.
Bob Costas says: "As a long-time reader and admirer, I find there is only one thing to question about Leonard Pitts being awarded the Pulitzer Prize: What took them so long?" Bob Costas says: "If you are a sports fan, you have to be a Neil Leifer admirer, for you have been seeing his pictures and they've been shaping your impressions and memories for five decades." Bob Costas says: "Lets [sic] put it this way. After reading her book I now know things about Linda Cohn I couldn't even have suspected from roughly 1000 hours of SportsCenters. And I have reached the following conclusion: Linda is the top Cohn-Head since Larraine [sic] Newman." Bob Costas says: "I thought it was a terrific local landmark, that probably had as much mythology as truth attached to it." Bob Costas says: "Stiking [sic] photos and caring thoughts—different in their particulars, but universal in their sentiment." Bob Costas says: "A significant piece of baseball and American history. Revealing, moving, and long overdue." Bob Costas says: "Hilarious, Poignant, a really enjoyable read." Bob Costas says: "THE FEEL OF REALITY, THE EXCITEMENT OF FICTION ... THIS IS ONE FINE BOOK."